This topic contains 1 reply, has 2 voices, and was last updated by Capricorn 6 months, 3 weeks ago. 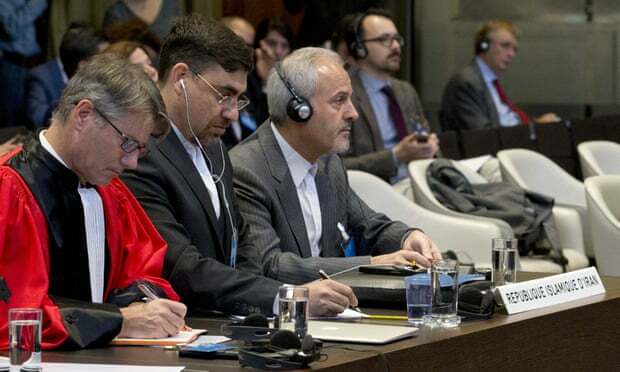 The UN’s international court of justice (ICJ) has reprimanded the US over its re-imposition of sanctions on Iran, ordering Washington to lift restrictive measures linked to humanitarian trade, food, medicine and civil aviation. Since Donald Trump was voted into office by the Electoral College, the United States has retreated from participation in international forums and tore up treaties. Donald Trump does not know what the ICJ actually does. All he needs to know is that it is not American and, consequently, counts for nothing. Trump is a thug and a crook. Laws, rules, agreements and treaties don’t matter to him. He ran his business as a fraud and a bully, he cheated American people with tax fraud and he has no character. Just a childish racist who was voted in by unpatriotic people who put his white supremacist and racist/bigoted message above everything else. He does not care.